Have you got any Used Office Phones that you want to sell? We can offer you a very good price for your used office phones. We buy from and supply to countries all around the world. 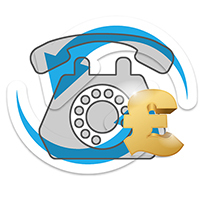 We are one of UK’s and Europe’s leading trader in used telephony equipment. Extensive knowledge of the products and marketplace means that we are able to give accurate, informed and swift quotations every time. We can provide you with a fast, fair and free quote for your Used Office phone systems, phones, cards, and any other hardware you may be interested in selling. Our experts continually monitor current secondary market values for all Telecom’s assets, to ensure that your quote will be fair and accurate. After the quote is agreed we can arrange for a quick pick up of the unwanted kit, and ensure immediate payment. We can collect UK & Worldwide and absorb Shipping costs.The list of Office Phones that we buy back is extensive.